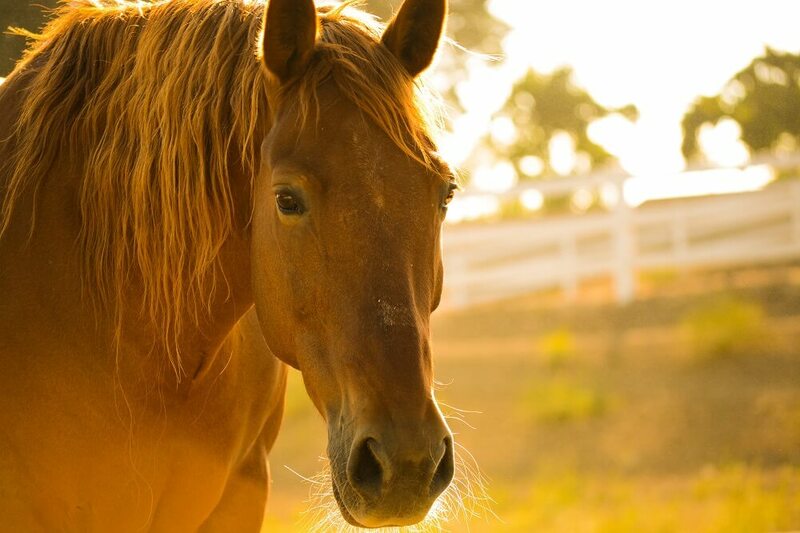 Many horses suffer from Equine Gastric Ulceration Syndrome (EGUS). 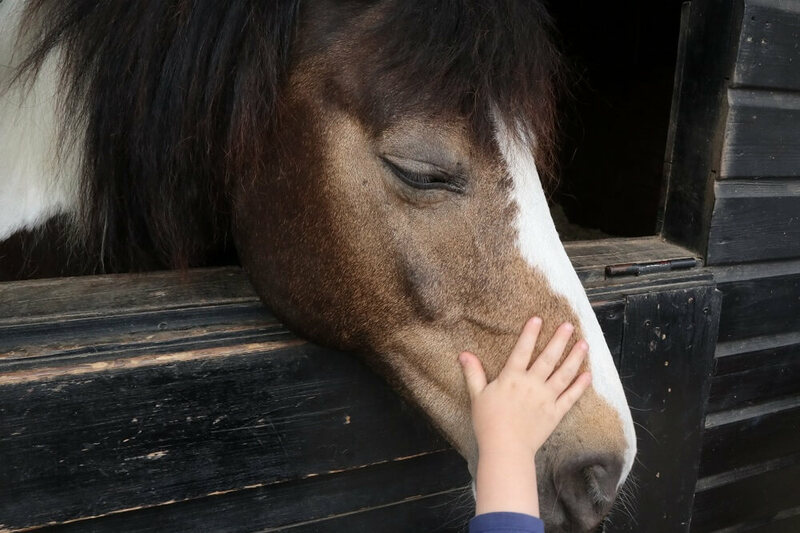 This is a very common and very serious condition that affects about half of all foals and leisure horses, approximately 65% of performance horses and a whopping 93% of racehorses. This condition develops due to injury (caused by acid) to the upper gastrointestinal tract and the stomach. It can be difficult to know what to feed a horse with ulcers. Even though this problem has existed for a very long time, we are still somewhat in the dark as to how to approach it. In the past, it was extremely hard to arrive at a solid diagnosis. Today, thanks to endoscopy, identifying and diagnosing this problem is much easier. How Do Gastric Ulcers In Horses Develop? There are quite a few contributing factors when it come to the development of EGUS. 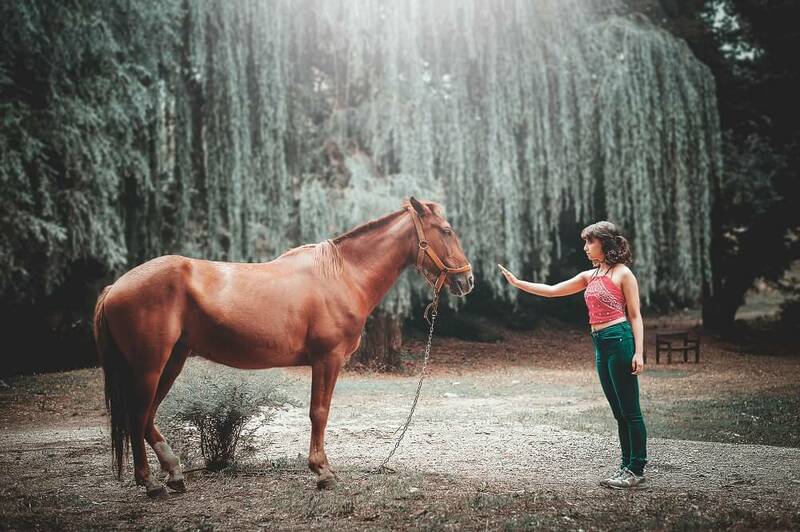 One of the most important things to keep in mind is the natural evolution of the horse. Horses are grazing animals and are meant to nibble constantly. For this reason, they produce stomach acid at a steady rate to aid in digestion. Under ideal conditions, stomach acidity is buffered by the naturally alkaline saliva that is produced when horses chew and swallow. A horse’s natural diet of grass is also quite alkaline. Furthermore, the fiber provided by natural grass helps pad the stomach and protects the stomach lining from acidity. Domesticated horses often do not have the opportunity to graze continuously. They are frequently kept in stables or on lots without forage for extended periods of time. Furthermore, very often horses are fed a grain rich diet without ample grass or hay. Grain is far more acidic than natural forage. All these circumstances conspire to set up a situation that is just right for the development of ulcers. Just as with humans, stress and pressure can also contribute to the development of ulcers in horses. This is why racehorses and performance horses are affected at much higher rates than leisure horses. In addition to pressure, high intensity work also sets up physical circumstances that may cause ulcers. One theory is that very intense exercise causes stomach acids to splash into the upper (non-glandular) areas of the stomach. How Can You Tell If A Horse Has Stomach Ulcers? Signs can be very vague. If you ignore initial, subtle signs you may soon see an increase in symptoms. This can happen as the intensity of training or workload increase. In racehorses, pushing for more speed can exacerbate the development of ulcers. It is especially important to watch foals for signs of ulcers because they are quite subtle, can progress very quickly and have devastating effects. Stay in close contact with your vet when raising a foal. These are all signs of a problem, but only your vet can definitively diagnose EGUS. This is why it is very important to observe your horse closely. Whenever you feel that your horse is “off-form” be on the alert. This could be a sign of ulcers and an indication to you that you should have your vet come out and perform an endoscopy. 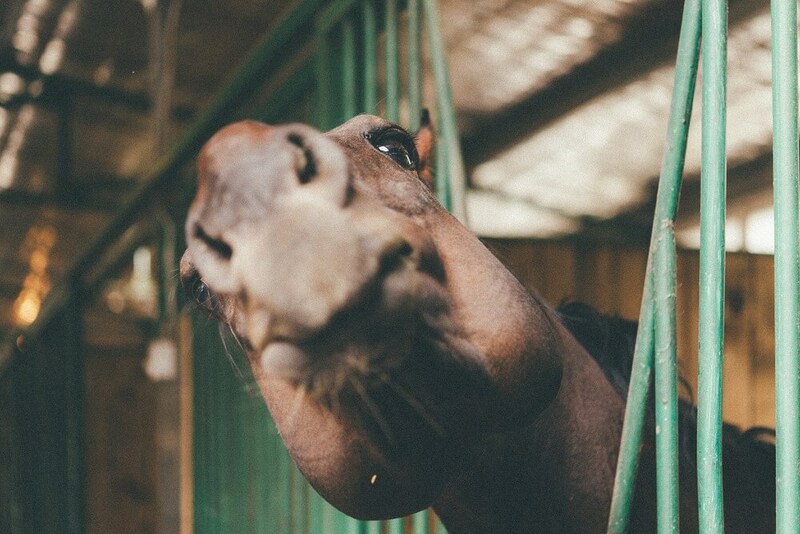 How Should You Feed A Horse With Ulcers? If your horse has been diagnosed with EGUS, work closely with your vet to devise a proper feeding and care regimen. Proper management will help prevent ulcers developing or recurring. In general, you should follow these guidelines. Feed a high fiber diet. Your horse should have as much access to good quality grazing and hay as possible. He should receive about 1.5% of his body weight in forage daily and should not be left without forage for extended periods of time. Use a hay net to provide constant access to good quality hay. Provide turnout as frequently as possible. Use feeds that are specially developed and approved for consumption by horses with gastric ulcers. Feed containing low levels of sugar and starch with calories added via oil are best. Feed frequently. Multiple small meals daily are easier to digest and are less likely to contribute to ulcers and other digestive difficulties. Small meals should include chopped fiber, such as alfalfa or beet pulp to help buffer stomach acids. Remember that your horse’s stomach lining is sensitive. Don’t feed very coarse, sharp, stalky hay. Very rough textures will surely hurt your horse’s sensitive stomach. Look for second-cutting hay and provide soaked beet pulp for added fiber in the diet. Feed a small snack half an hour before exercise to help prevent stomach acid splashing up during rides and training. When you keep good quality forage in front of your horse at all times, provide plenty of good, clean water and provide your horse with a calm, secure, reliable environment you are far less likely to experience problems with equine ulcers. If your horse does show the classic signs of EGUS as described above, reduce activity, give him a break and contact your vet right away.